We are the pink section in the map above. It may not be all that blue this summer if the mild and dry winter continues. 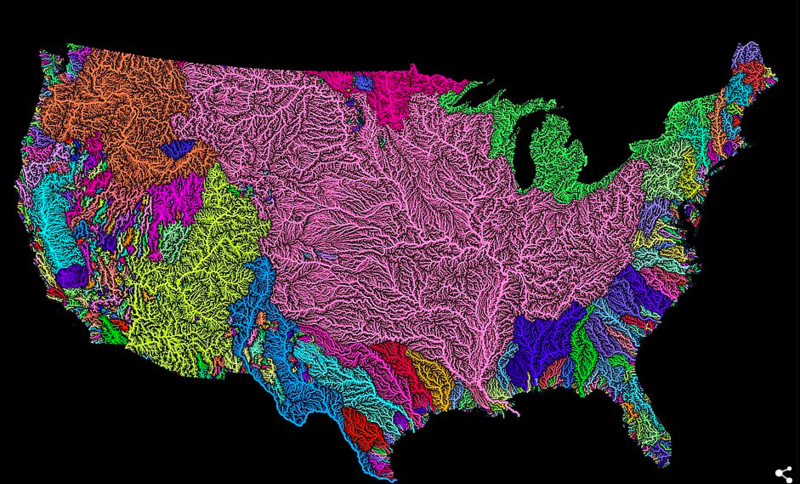 We are so fortunate to be the recipient of major river above us like the Madison, Jefferson, and Gallatin. So even in the bad, lower water years, we seem to do just fine. But I do hope that the water gods bestow more snow upon our drainage and water levels are closer to normal than we are seeing right now. Less than 100 days left in our winter, our winter snow pack period. Snow in the forecast coming up and we will be doing our snow dance daily. You too. You should do a little jig in your living room or office this morning to get yourself revved up for the Montana fishing season! Forgo your pilates and get after it! Maybe you have a window in your office and the rest of the gang can witness. Why not get the entire office involved? Here is a link that John sent to me late last night about snowpack monitoring and such. Certainly an interesting read. John and I, and I’m sure many more are always interested on how and where and why and what our water managers and planners are seeing, and monitoring, and deciding. And why. Why not get your name in the books for June and July guide trips today. It looks like a good dry fly session is ahead of us. The phones are lighting up at the Mother Ship as many are planning summer trips and lodging.